Use a mortar and pestle to pound the garlic, coriander and peppercorns to a rough paste. Add the paste to the pork mince along with the fish sauce and the egg. Mix well, using your hands to slap the mixture against the bowl. 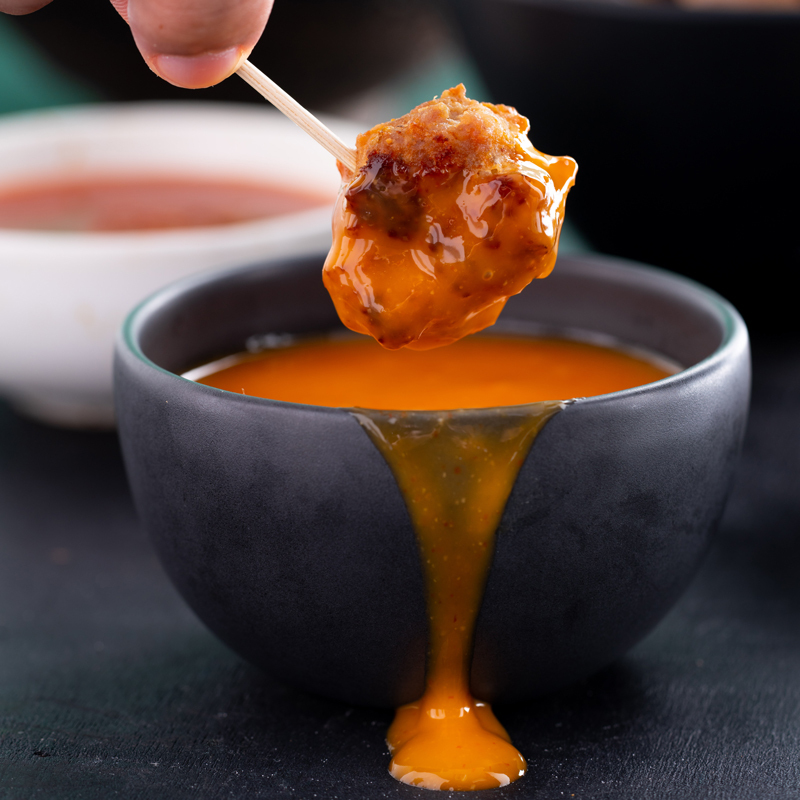 This will help to firm up the texture of the meatballs. Form the mixture into small meatballs. Heat the oil in a large non-stick frying pan over medium-high heat. 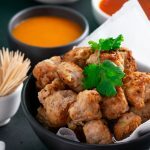 Cook meatballs in batches for 3-4 minutes, turning occasionally, or until cooked through. Drain on paper towel. 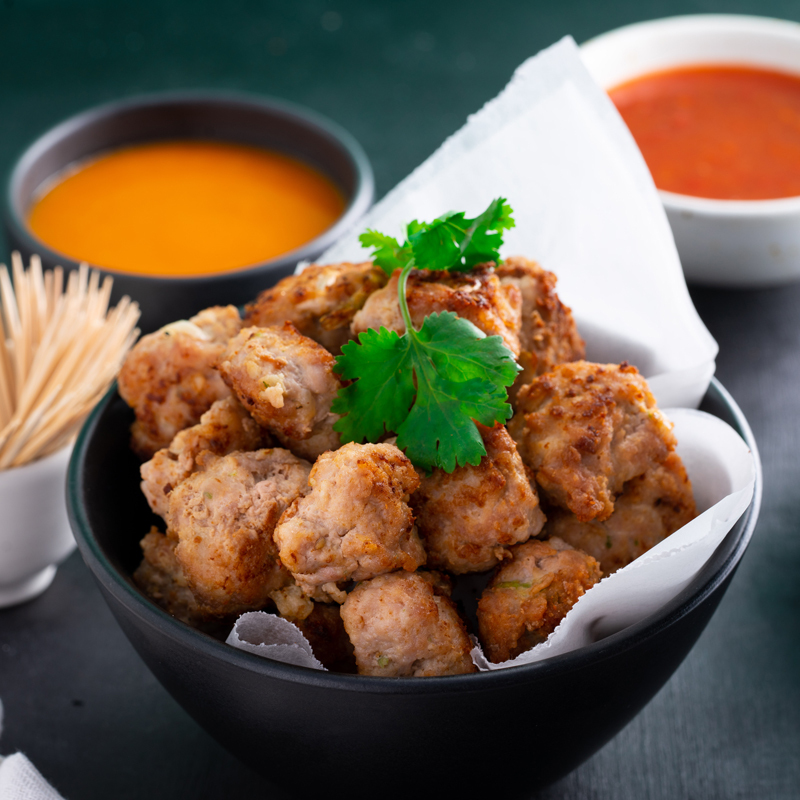 Serve meat balls topped with coriander leaves and with your choice of dipping sauce.